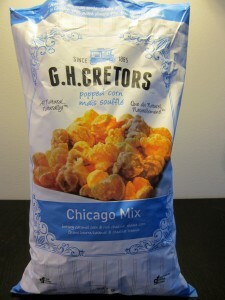 A couple years ago I raved about the U.S. popcorn company Garrett Popcorn. Since then I have tried to conveniently plan out my travels so that I can one day taste this magical mix of sweet and salty popcorn again. This included a layover in Chicago O’hare airport on route to Minneapolis for Black Friday shopping, but unfortunately a miscalculation in terminal connections cost me a few bags of mouth watering jewels. Costco has once again become my shining star of hope. Tucked away in the chip section of Costco, sits a white and light blue bag made by G.H. Cretors. 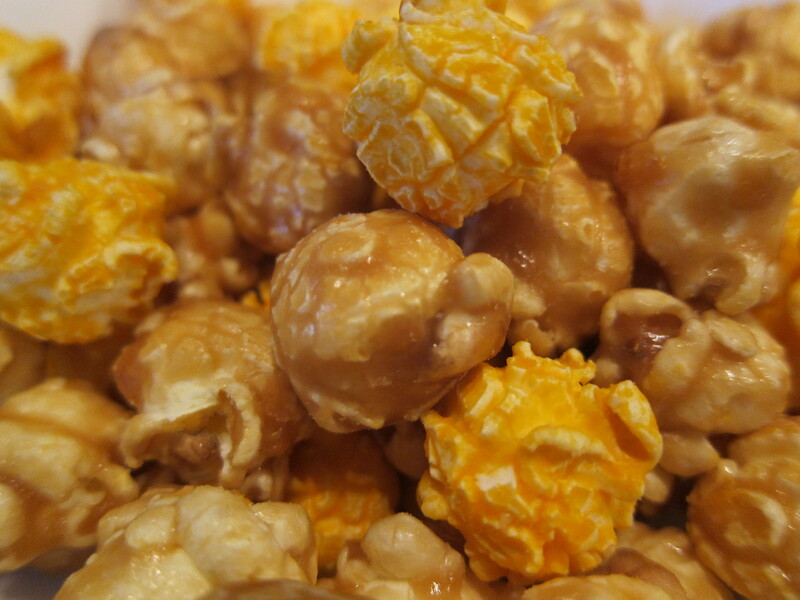 This impressive mix of buttery caramel and cheddar cheese popcorn so closely resembled the real thing from Garrett’s, that it was hard to believe it came off of a grocery shelf. The caramel coating is light yet holds a sturdy brown sugar candy crunch, the cheddar cheese pieces are crisp and not the least bit soggy. The combination of flavors not only satisfies the craving for both taste senses, but also brings back delicious memories of the east coast. Instructions even come printed on the top of the bag advising that “caramel corn may settle. Shake it! Chicago mix it!” After a quick shake of the bag, I found the proportion of caramel to cheddar was too much, but I suppose the preferred ratio lies within each individual’s preferences, a minor detail which does not diminish the sheer glory which lies within this bag of popcorn.